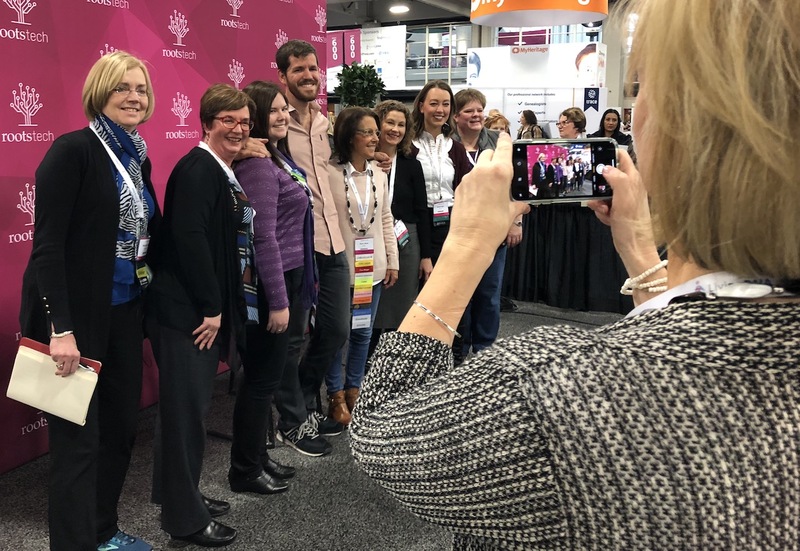 RootsTech is coming to the Salt Lake Convention Center February 27 through March 2, 2019 and preparation is a key to success. Now is the time to take advantage of early registration discounts! 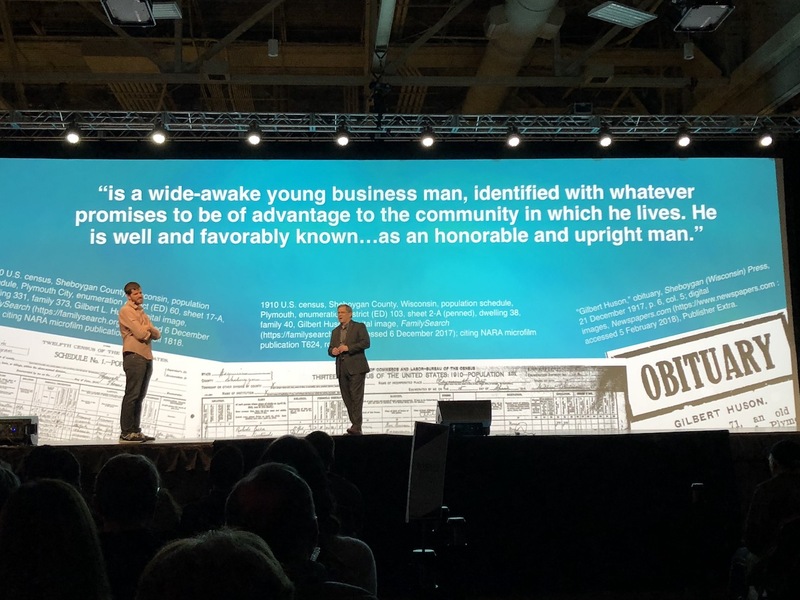 When it comes to RootsTech, the largest genealogy conference in the world, consider the specific goals you want to achieve at the conference. If one of your goals is to learn more about DNA testing and genetic genealogy, this playbook is for you! RootsTech offers sessions targeted to those who are rookies and those with a little more experience. DNA testing and genetic genealogy can be the “Hail Mary” that wins your Family History and Genealogy Bowl! 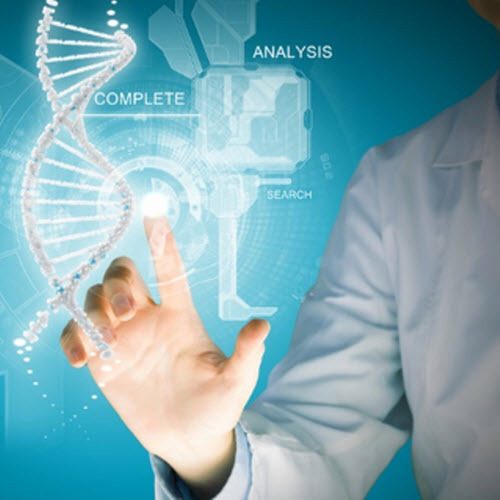 There are three reasons individuals test their DNA for genetic genealogy: 1) to learn ethnicity estimates, 2) to connect with genetic cousins for reunions or for information about their common heritage paper trail, and 3) to discover personal health information. 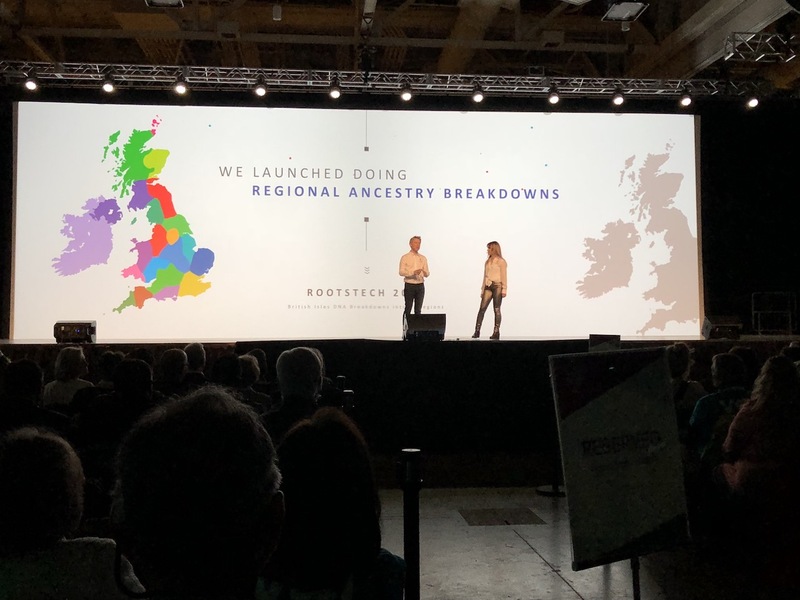 In the past at RootsTech, there have been opportunities to learn all you need to make informed decisions for each of these scenarios. 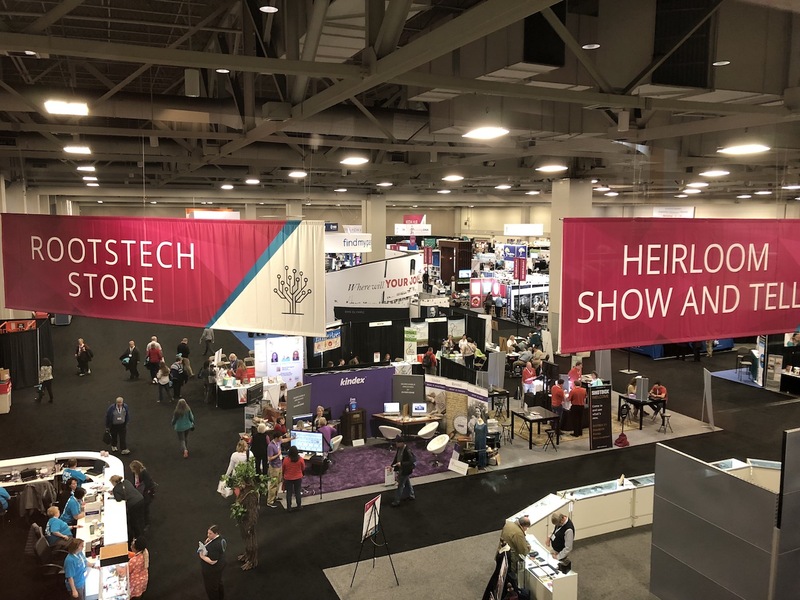 This year RootsTech is scheduled to offer about 35 sessions covering genetic genealogy, with a few pre-registration lab classes, to inform and educate participants on this timely topic. Although it has not yet been announced, the Expo Hall has hosted five genetic genealogy companies in the past. If they return, representatives will be available to answer your questions: 23andMe, AncestryDNA, Family Tree DNA, LivingDNA, and MyHeritage DNA. 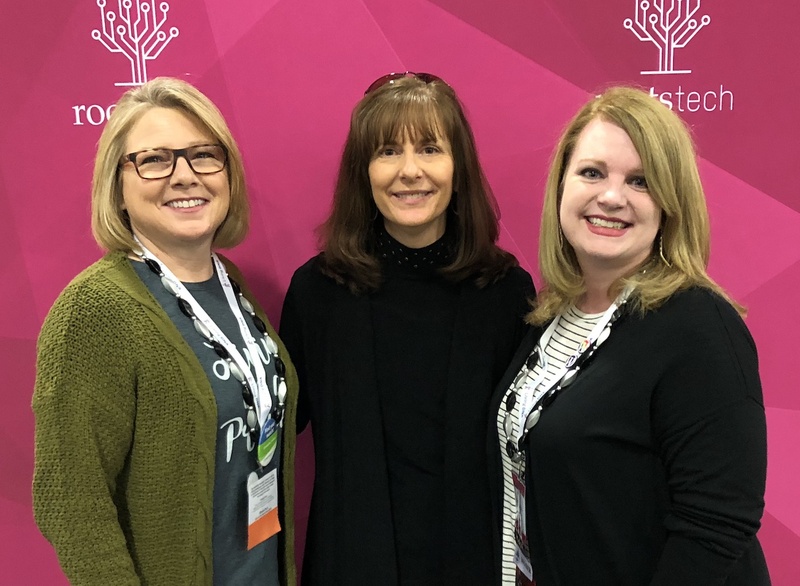 To MAXIMIZE TIME at RootsTech, PREPARE NOW! 1. Create a list of your questions. First, write down any DNA questions you have at this point. When you have finished reading this post and its associated links, review your questions to see if you have discovered your answers. If not, organize them and bring them to RootsTech. You will then be prepared to ask these questions in any session where the presenter offers a time for Q&A, or you can bring your questions to the Expo Hall to have your questions answered by representatives of the different DNA companies. Clear, concise, and thoughtful questions are always easier for the experts to answer. 2. Define your goals. Ideally, your first question is “why.” Why do you want to take a DNA test? What do you hope to learn? What genealogical problem do you want to solve? Who might hold the genetic key(s) to solving your proverbial brick wall? Remember that DNA is only one type of evidence. It does not stand alone to prove your lineage. Knowing why you are testing and who you want to test will help you determine what type of tests (see below) to purchase and the quantity of kits, too! 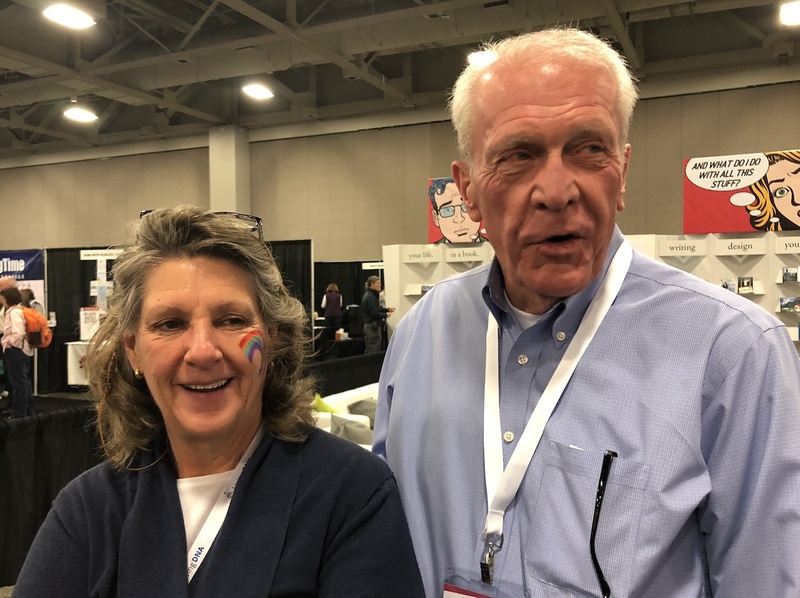 Vendors at RootsTech have the reputation of offering the lowest prices on DNA kits at the conference, although the actual prices have varied from year to year. Be aware that pre-registration for DNA lab sessions is required. 3. Become familiar with the 5 DNA companies typically represented in the Expo Hall. This is the most time-consuming part in preparing for RootsTech. If you are planning to test your DNA as a result of what you learn at this conference, become familiar with the 5 DNA companies and what DNA tests are offered by each. Also understand the legal notices for each company, such as their terms of service and privacy policies. Each company’s legal notices are different. Presenters have their own vested interests as employees, affiliates, and business owners and may only cover a portion of relevant material in any given session. Time is limited. Not all companies may be represented in each session you attend. Understanding the legal notices before coming to RootsTech frees you to make informed decisions at the conference. Most, if not all, companies will offer special pricing on their kits at the conference. Many individuals test with more than one company. As individuals learn more about genetic genealogy, questions arise. Some of them are legal and are best answered by an attorney without a vested interest in the business of genetic genealogy or even within the genealogy community. Opinions vary throughout the genealogy community and beyond. Each company has its own terms of service and opportunities to opt in or opt out of research studies and to allow degrees for sharing your genetic information. One common question is, Who obtains the rights to my genetic information? It is a good question to ask each company you consider testing with because you must be comfortable with their answer. 4. Create a DNA testing game plan. Creating a DNA testing plan will provide focus, save you money, and give you the best chance of answering your research questions. Be familiar with each of the 3 DNA tests used for genealogical purposes, and be confident that the kit you order will answer the family history question you want answered. Autosomal DNA, atDNA, is the collaborative DNA from all of your ancestors, male and female, that recombined to define you. It is the DNA from which your ethnic origin estimates are derived as far as scientists and others in related fields can currently determine. These estimates are subject to modification as the reference panels on which the results are based are modified. All 5 companies offer this test. Some companies identify matches to the X chromosome. One good question to ask each company is, How many SNPs (single nucleotide polymorphisms) are tested by your company? The more SNPs, the more comprehensive the results. This is the DNA test that assists you in finding living cousin matches with others who have tested. Y-chromosome DNA, Y-DNA, is the DNA that defines paternal lineage and is inherited only by males; it is passed down from father to son. It provides positive identification of the biological paternal family and outlines the migration pattern of direct paternal ancestors (from son to father, to father, etc.) as far as science can currently identify. Testing for yourself, it is defined by the top line of your traditional pedigree chart. It is a male-only test, so females must find a male descendant of that particular lineage, such as a brother, father, paternal uncle, or paternal nephew, to test for this information. Family Tree DNA is the only major company to offer this as an independent test for genealogical purposes. There are also many surname projects administered through Family Tree DNA. Mitochondrial DNA, mtDNA, is the DNA inherited by all of a mother’s children, but passed on only to the next generation by females. 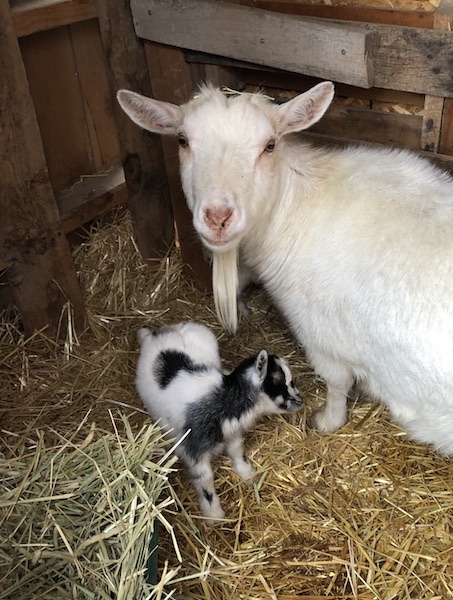 It identifies the maternal migration pattern (from son or daughter to mother, etc.) as far as science can currently determine. Testing for yourself, it is defined by the bottom line of your traditional pedigree chart. Family Tree DNA is the only major company to offer full sequencing of the mitochondrial genome for genealogical purposes. DNA results are just another source like vital records, censuses, probate or land records. They can assist in extracting one’s biological heritage. It is important to note that a DNA test may or may not provide the answer to your question, or it may provide an answer that leaves you or others in your family uncomfortable. Expectations of extending your lineage must be managed. Not all individuals who take a DNA test find generations of ancestors. 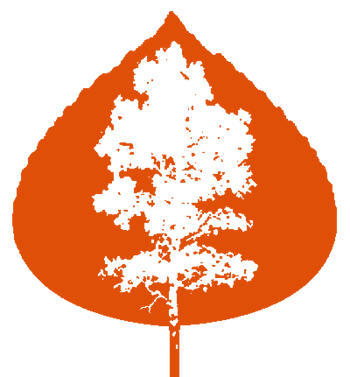 Many online trees contain misinformation, and DNA testing is not a short cut to obtain a verified pedigree. In addition, an individual must be prepared to accept that an identified living cousin through DNA may not want to have contact or establish a relationship with the one tested. Genetic genealogy is an exciting and developing field. It can provide answers to family mysteries. It has brought joy to many and sorrow to a few. It is a topic worth learning about so you can make an educated decision about how DNA testing can potentially help you strengthen your family relationships among the living and add to your family tree. 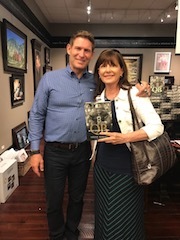 One book that I recommend to you for foundational information is The Family Tree Guide to DNA Testing and Genetic Genealogy by Blaine T. Bettinger. It is available on Amazon. Although you pay no additional fee, as an Amazon Associate I earn from qualifying purchases. Disclaimer: The purpose of this article is for information only. The final decision to act upon this information is your own and you take sole responsibility for all outcomes. “A single-nucleotide polymorphism (SNP, pronounced snip) is a DNA sequence variation occurring when a single nucleotide adenine (A), thymine (T), cytosine (C), or guanine (G]) in the genome (or other shared sequence) differs between members of a species or paired chromosomes in an individual.” International Society of Genetic Genealogy. “Single-nucleotide polymorphism”. (http://isogg.org/wiki/Single-nucleotide_polymorphism: accessed September 30, 2018). It’s a new season for Relative Race! The show premieres tonight, Sunday, September 16th at 7pm MT on BYUtv. Four new teams, new challenges, and new family connections will be discovered as teams enter a 10-day race for a $50,000 winner-takes-all prize. As I have watched the show evolve through the seasons, I’ve considered the difference between the genealogical family tree and the genetic family tree. Relative Race addresses the latter. Your genealogy family tree encompasses all of your biological, legal, and/or adopted lineages. Your genetic family tree is a subset of your genealogical family tree. Not every cousin can be identified through genetic genealogy. After about 4-5 generations, a person may not receive a DNA inheritance from those back in time. This, of course, leads to a loss in connecting with those descendants through DNA testing results. Relative Race focuses on the most recent generations so autosomal DNA (atDNA) should catch them all. The paper trail, traditional genealogy, ultimately determines the actual relationship among the possibilities. Relative Race uses AncestryDNA to identify family members found throughout the race. Unlike Season 1, genealogists are retained to verify the relationships discovered through DNA results by pursuing the paper trail. Team Red consists of Mike Brown and Austen Williams, a father/daughter team whose goal is to find out more about Mike’s biological father for Austen’s children. 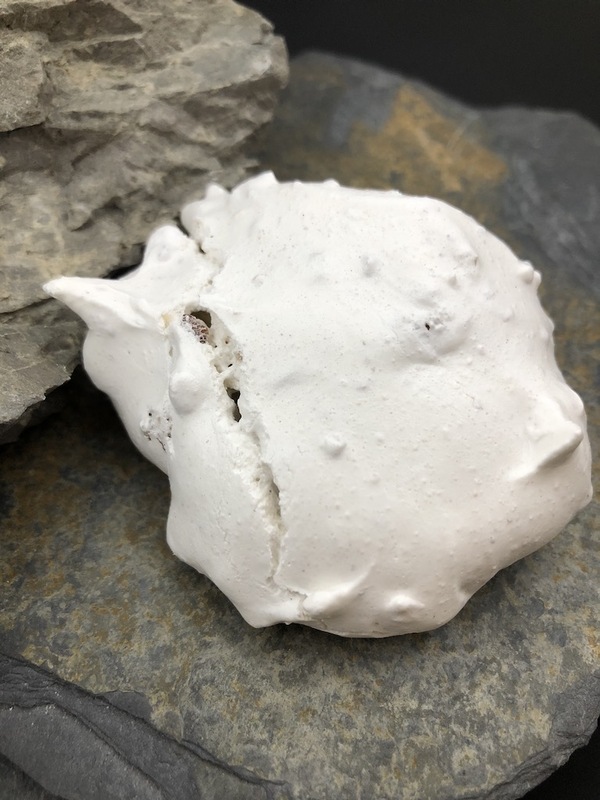 In other words, one of the purposes of this journey is to connect Mike’s grandchildren to a paternal great grandfather. In this case, Mike’s the autosomal DNA test results will contain more of the information needed for Team Red to find that great grandfather they seek. Team Green consists of Paris and Preshious Anderson, a married couple with 2 children ages 7 and 3 years. Their goal is to find the biological parents of Preshious, and any unknown relatives of Paris to make connections and win the $50,000 prize. Obviously, Preshious’ atDNA results will be key to finding her biological parents and Paris’ atDNA results will be crucial to finding any unknown genetic relatives on his side of the family. Depending on the disclosure agreement that may list known relatives, Team Green will be taking a journey of a lifetime! I don’t want to downplay the cash prize, but the legacy they discover for their children will be priceless. Team Blue consists of Josh and Tiffany Lewis, a married couple of 4 years, who is on a quest to find Josh’s biological father with the focus on winning the $50,000. (They say that they can return to visit the newly discovered family after receiving the prize money.) Since each person receives approximately 50% of their DNA from their father, this is not necessarily a problem with a direct match. However, familial searching can be used to narrow down possible candidates. This team’s goal relies totally on the results of Josh’s DNA test results and the ability to master the challenges. Team Black consists of Jerica and Joe Henline, siblings from Ohio, who are in this race for the fun of it! What did they get themselves into? 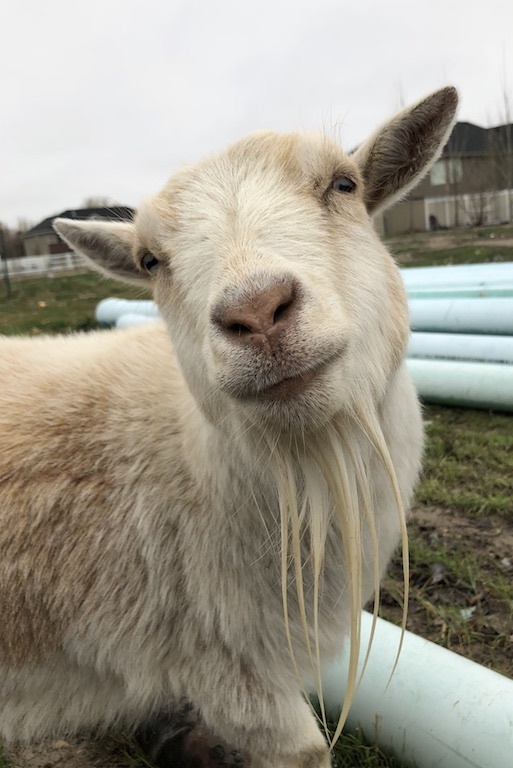 Interestingly, the genetic family tree expands the possibilities of connecting with more cousins because Jerica and Joe have received a different DNA inheritance from each of their parents. DNA is a valuable, even indispensable, type of evidence in discovering one’s family tree. But, on the eve of the premiere of season 4 of Relative Race, I like to remind myself that DNA inheritance is not the whole story, just a part of the amazing journey called LIFE! 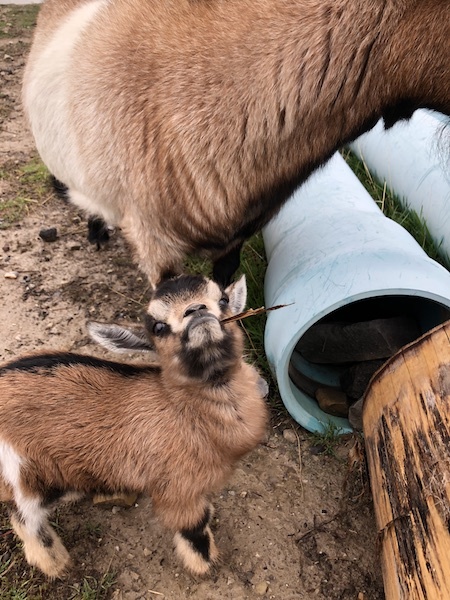 Such a good mother to her 3-day old kid. RootsTech 2018: “Connect. Belong.” Another Year in the Books. 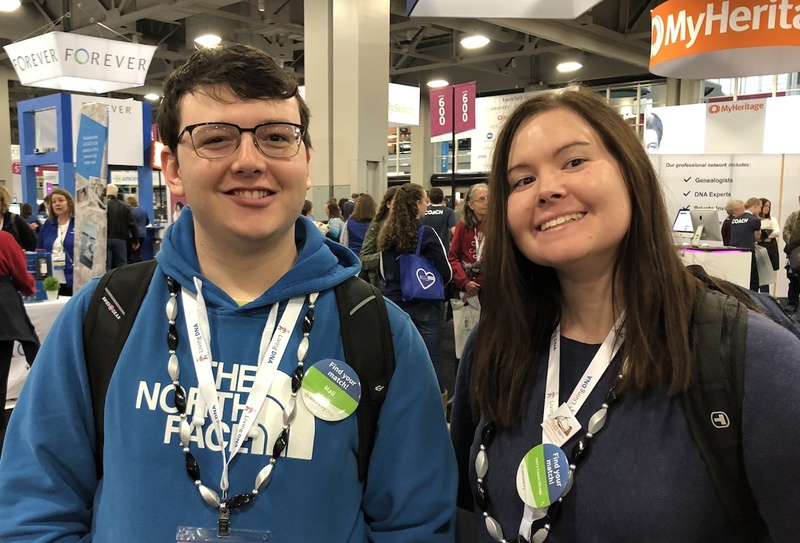 Dalton and Caitlin are cousins who live on different continents but converge at RootsTech! 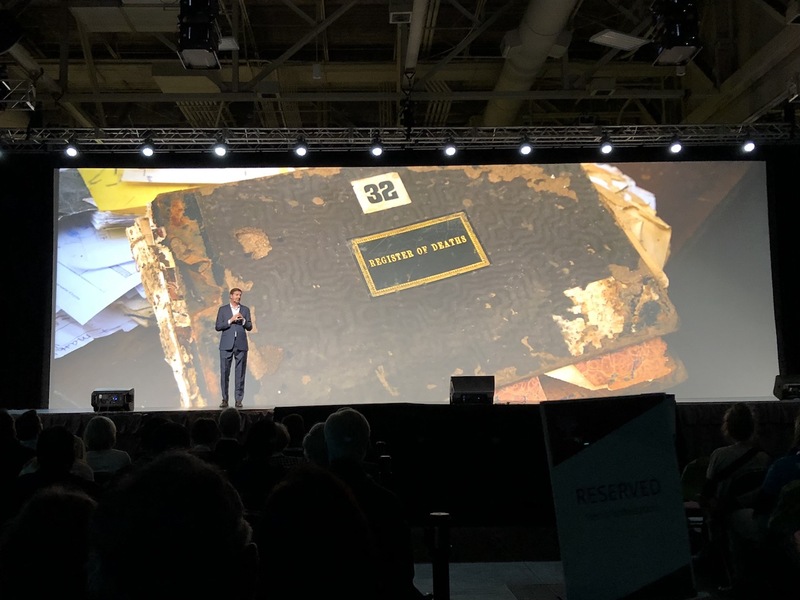 As a genealogy technology conference, RootsTech 2018, with live-streaming, social media interaction, and a global emphasis, delivered once again. The theme was “Connect. Belong.” and from many accounts this is exactly what happened as we close the book on another year. 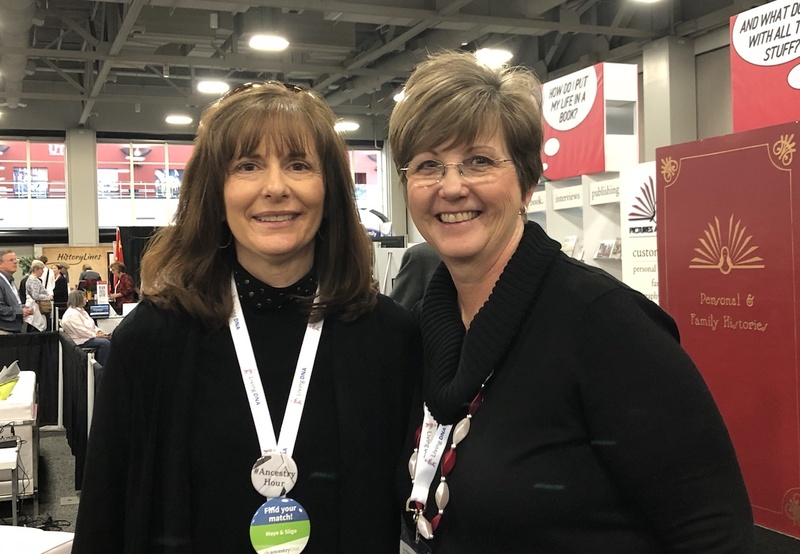 “Relatives at RootsTech” was a big hit with attendees connecting with many cousins! 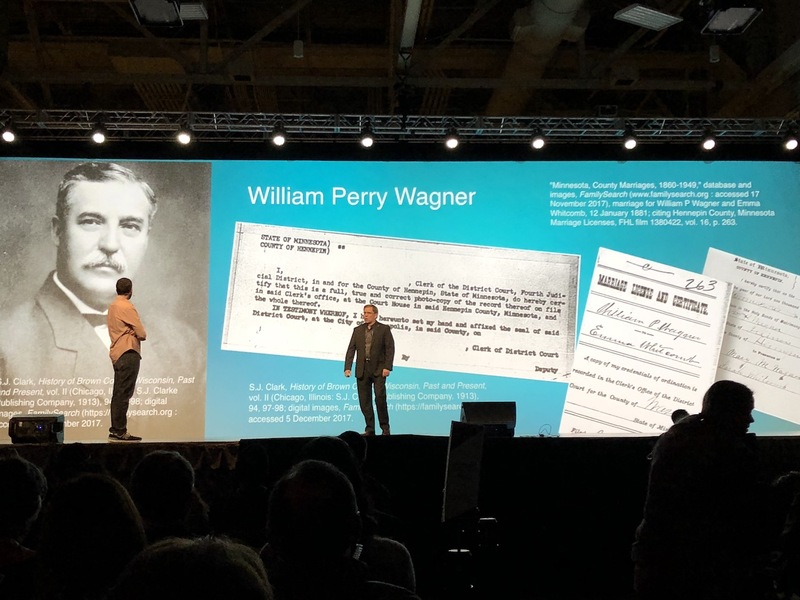 The success of the app depended on how deeply an attendee was connected to the FamilySearch Family Tree so while some had a plethora of cousins, others had none. A few that thought that they would not find any cousins, found at least one or two. Some messages were sent, some contact information was exchanged, some screen shots were captured for later consideration. 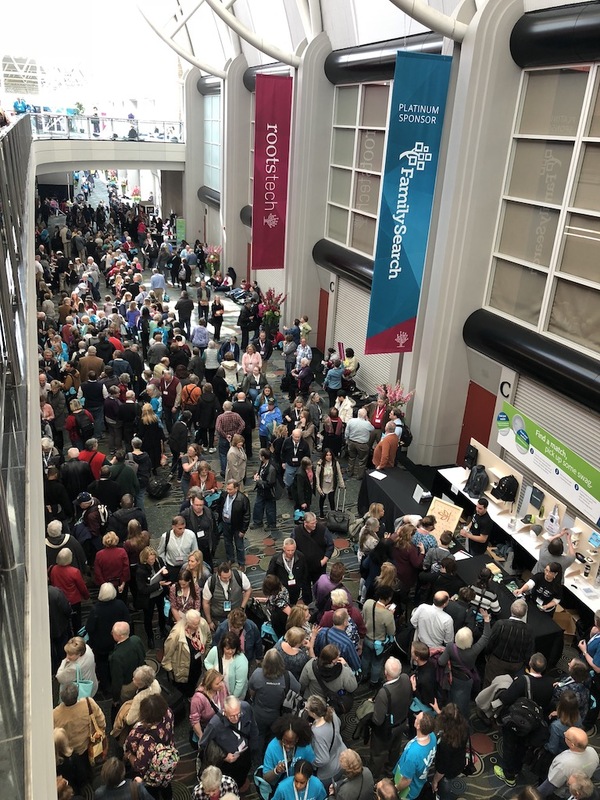 “Relatives at RootsTech” was a benefit for those in attendance, but the program upon which it is based, Relatives Around Me, is a relatively new feature on the FamilySearch Family Tree app that you may want to experiment with at your next genealogy event or maybe just at a neighborhood gathering. There is one caveat—the results are only as accurate as the FamilySearch Family Tree. For those #NotAtRootsTech, I am starting to see posts containing photos of items won by virtual attendees. The #NotAtRootsTech experience may not be the same, but it is the next best thing to being at the conference. For those who missed the live-streamed sessions, they’re now available at RootsTech.org. Other sessions were recorded, but not live-streamed, and are also available. As I mentioned in a post leading up to RootsTech, attending this conference can be overwhelming. There is so much to hear, see, and do. It is impossible to do it all. Knowing your “why” for attending can make all the difference. It is a strategy that I use each year and it works. I have never been disappointed. When I caught up with Scott Fisher, of @ExtremeGenes, and Judy Russell, a.k.a., @legalgen, they were discussing their plans for the Innovation Showcase. I may have overheard a word or two about the predictions but I was sworn to secrecy. I connected with Hilary, a.k.a., @Genemeet, Cheri Hudson Passey, a.k.a., @CarolinaGirlGen, Marie, a.k.a., @histfamilles, and Melanie, a.k.a, @ShamrockGen at the Media Dinner. 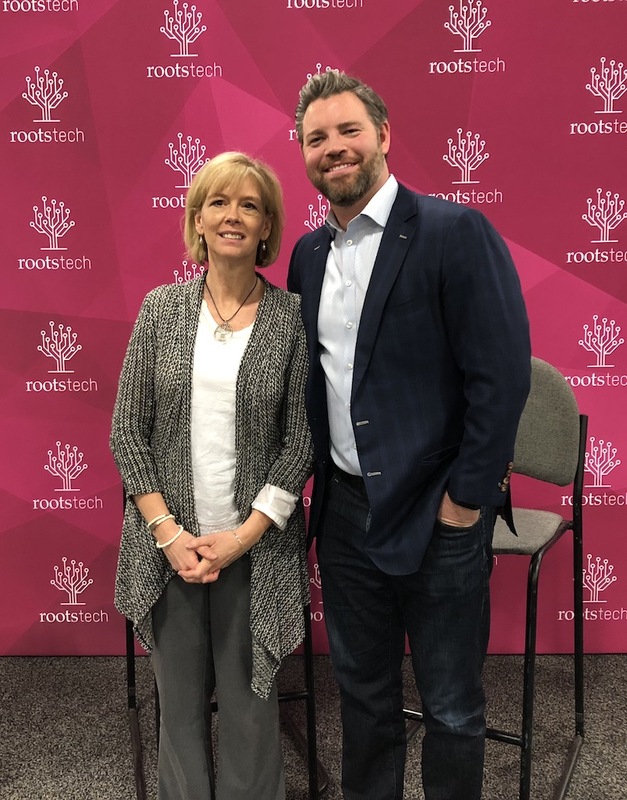 We welcomed Melanie as a new RootsTech Ambassador this year! It is great to schedule time to sit and chat. 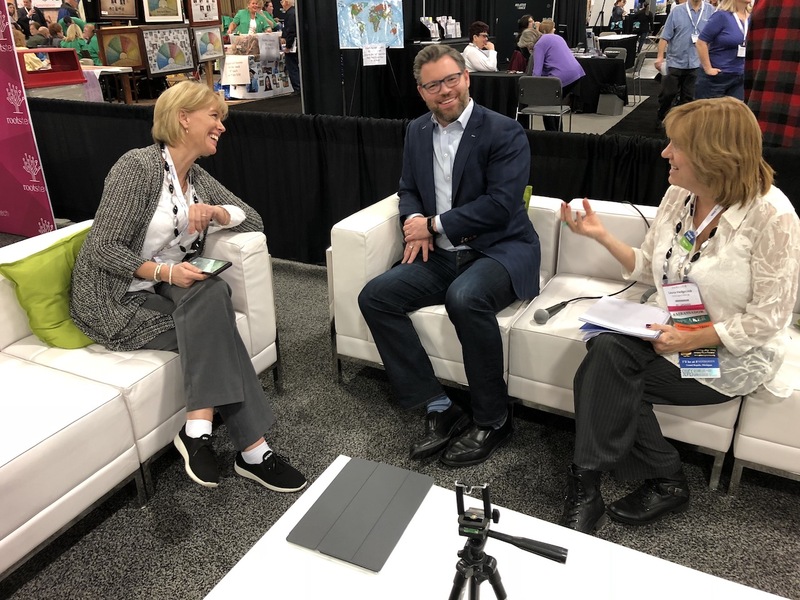 This particular chat included Cheri, @JasonHewlett, who is incredibly entertaining and MC’ed RootsTech, and @LauraLHedgecock. Cheri and Laura are also on the board for the @GeneaBloggersTribe. 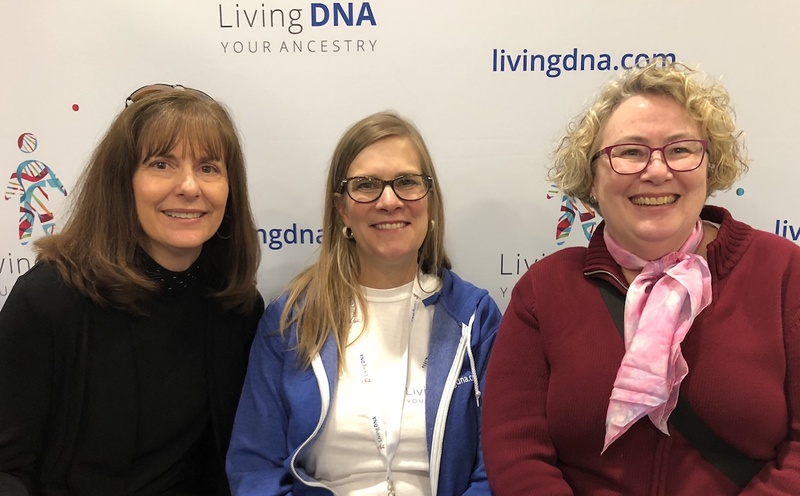 I also connected with Angie, a.k.a., @arodesky, and Ruth, a.k.a @PassionateGenea, at the @Living_DNA booth. 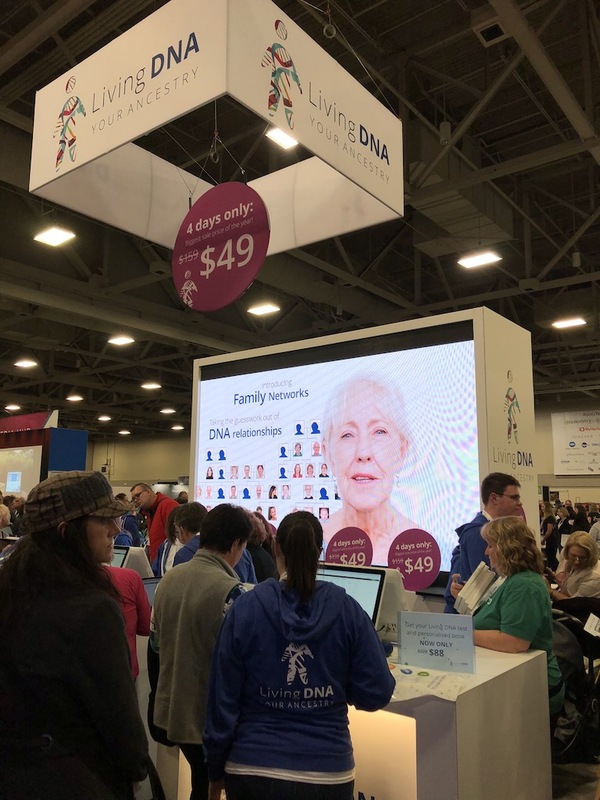 Living DNA was a platinum sponsor this year with announcements that included an incredible conference price and an upcoming feature, Family Networks, using DNA results, gender, and birthdate to populate the family tree. Angie is a Living DNA U.S. ambassador. Ruth is the Ontario Genealogical Society Conference Program Chair this year. The conference will be held June 1-3, 2018 in Guelph, Ontario. 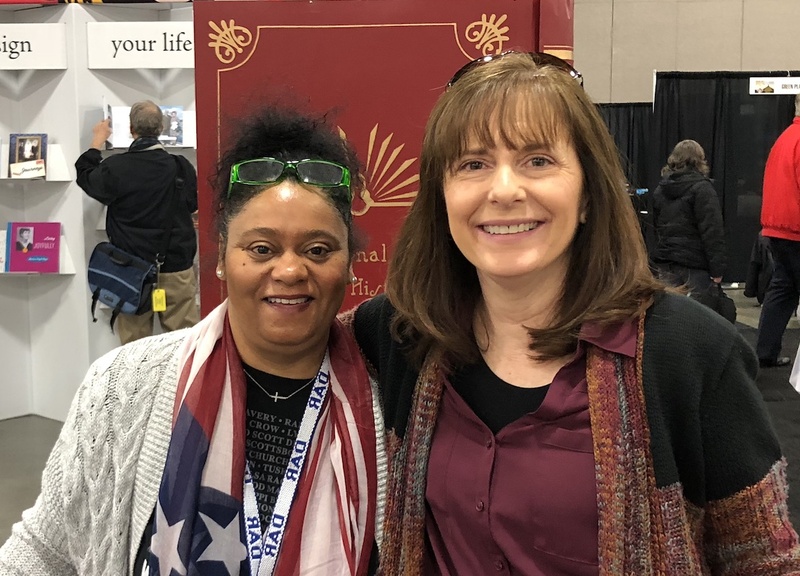 One of the wonderful aspects of RootsTech is that it attracts family historians from all 50 of the United States as well as 42 countries this year. 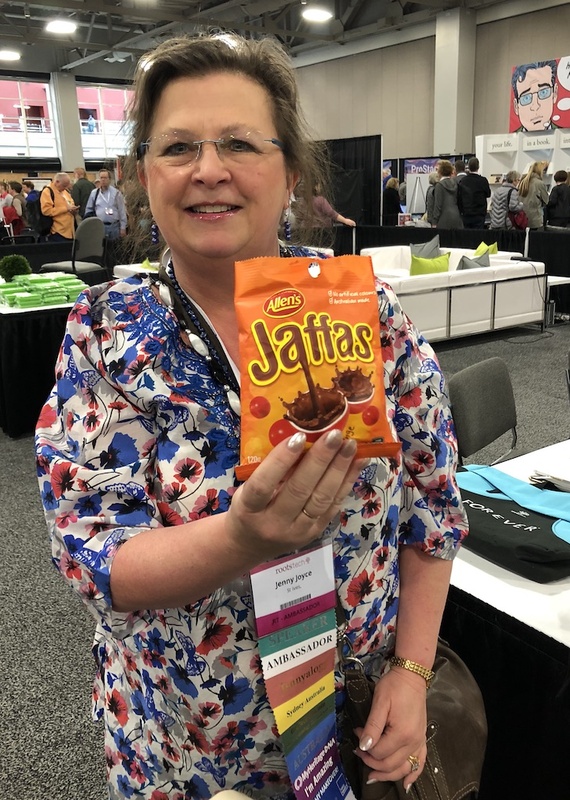 @JennyAJoyce, from Australia, brought Jaffas to share. Thank you, Jenny! Yum! Although we’ve had plenty of interaction on Twitter, this was the first time I had the opportunity to meet Jenna, a.k.a., @SeekingSurnames (and a @Chiefs and @Royals fan), and Beth, @BGWylie. Just an FYI, #genchat will be held tonight on Twitter at 8 p.m. MT. Follow the hashtag and @_genchat, too! Join us! Long over due, I finally connected with my good friend True Lewis, a.k.a., @MyTrueRoots. True is a former U.S. Army Veteran and co-host of @BlackProGen. When I was sitting by Ellen, I had no idea who she was! But then as we began to talk I realized that we were Twitter friends. Meet the Family History Hound! She a “Hound on the Hunt” and she doesn’t want you to “bark up the wrong tree”. 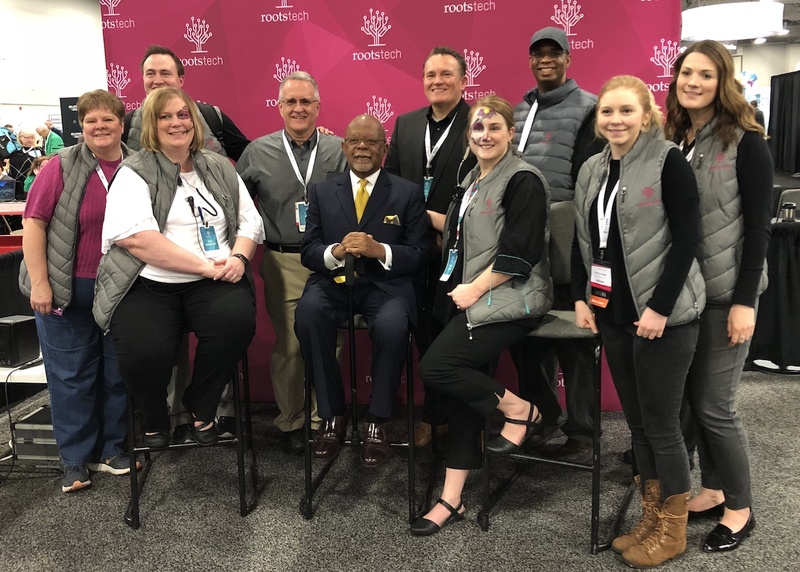 Marian Pierre-Louis attended RootsTech for the first time this year! 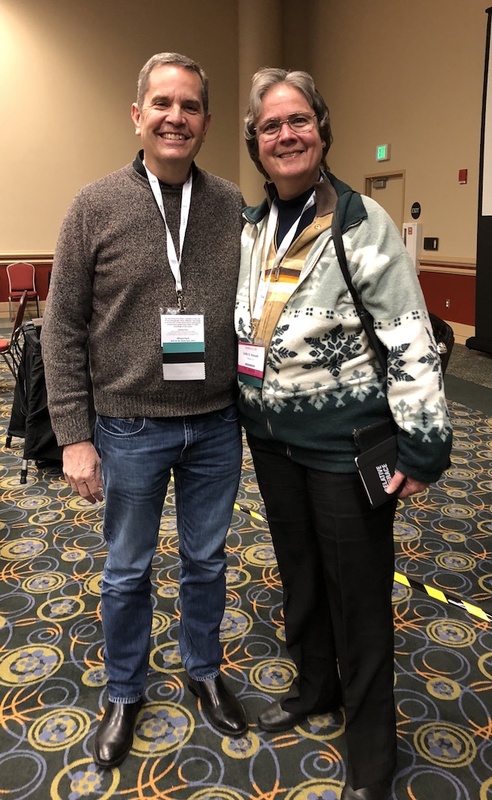 I know Marian from her blog, Marian’s Roots & Rambles, the fact that she solved Geoff Rasmussen’s “Cracking the Case of Nathan Brown’s Parents” and as a current host of Legacy Family Tree Webinars. It was great to connect! 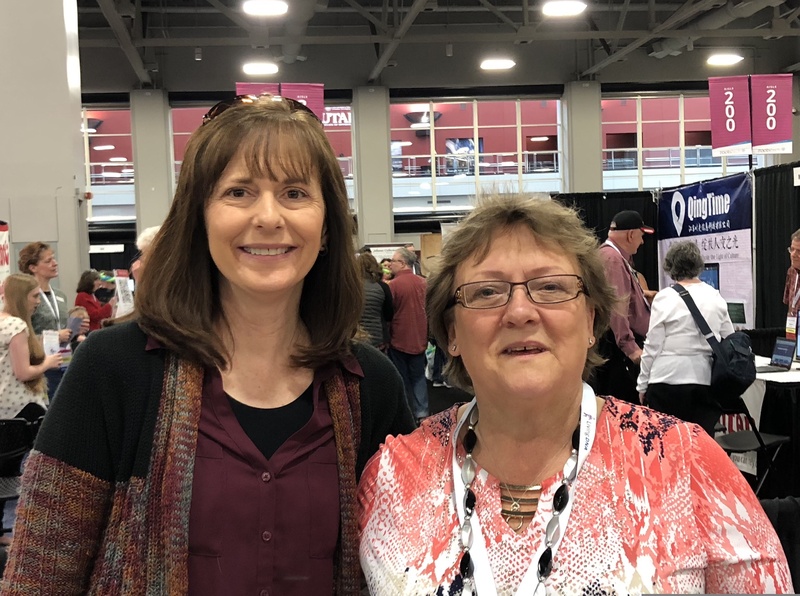 Michelle, @SoSleuth, and I met back in 2015 when she was an ambassador for the Federation of Genealogical Societies Conference held in Salt Lake City in conjunction with RootsTech. It was great to see her again. Meeting up at conferences is like a family reunion. This year RootsTech was on its way to verifying this simile as fact with “Relatives At RootsTech.” I may not be related to Michelle by DNA, but I claim her as family anyway! 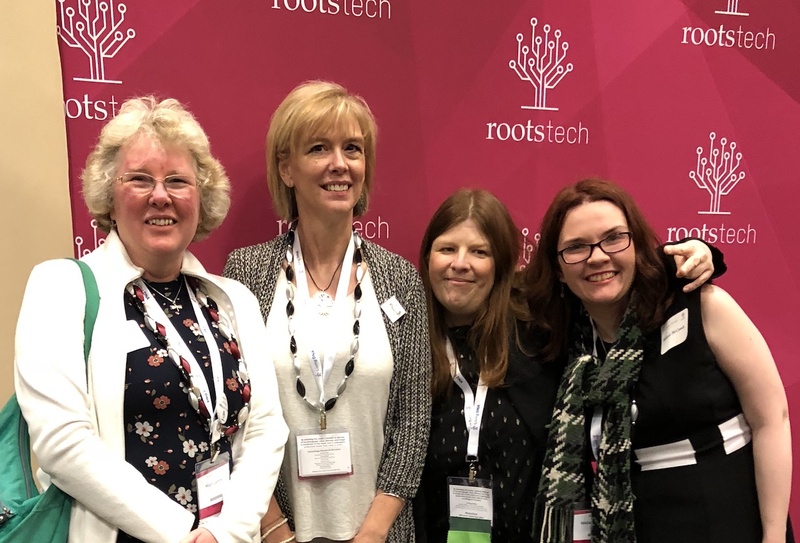 And, where would we be without the RootsTech team! They work hard each year to put together this conference, striving to improve that which needs improvement. The 2018 statistics are in and there were 17,210 registrations, 111,699 unique live-stream views, 38,288 unique households that watched the live stream, 125 unique countries that watched the live stream, 11,237 tweets using #RootsTech, and over 26,000 Family Discovery Day participants! Participants could not help but be aware of some of the challenges this team faced this year with the changes and growth, but they’re on it! They’re working toward a better onsite and virtual experience for everyone next year! 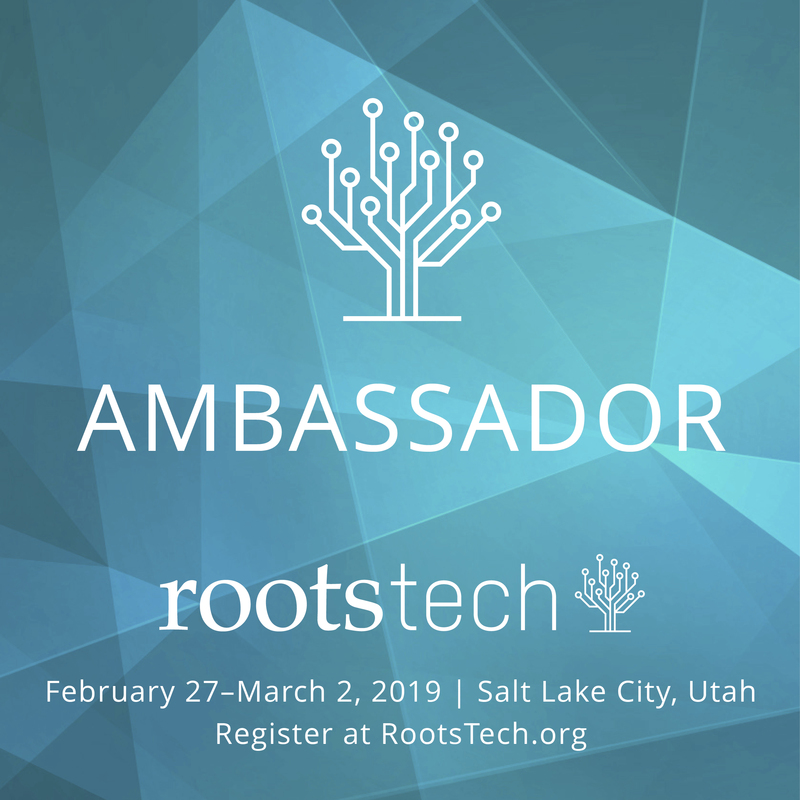 RootsTech will be held February 27-March 2, 2019 at the Salt Palace Convention Center. Early bird registration will open September 2018. 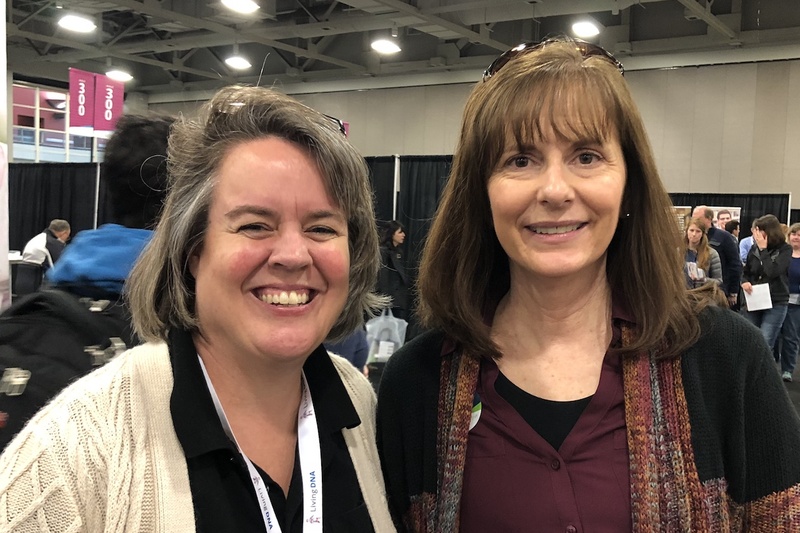 Hope to see you at RootsTech 2019! FYI: I have identified Twitter handles for many that I mention in this post, but the highlighted handles are linked to their respective blogs or other relevant information. 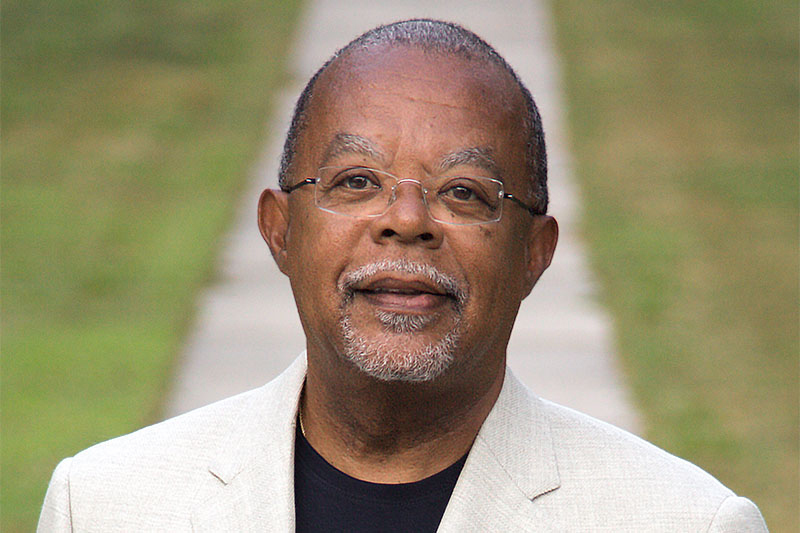 Henry Louis Gates, Jr. will keynote the final General Session at RootsTech today at 8:30 a.m. Gates is the host of the popular PBS series, Finding Your Roots, which highlights the genealogy of 3 guests each themed episode chosen from diverse, but noted, fields and provides with a “Book of Life” of each guest’s family history. Natalia Lafourcade will also perform “Remember Me” from the movie, Coco, which has been nominated for an Academy Award. In fact, Lafourcade will leave RootsTech to fly to California to perform this song on the stage of the Academy Awards the next day, Sunday, March 4. Also today is Family Discovery Day at the Salt Palace Convention Center. 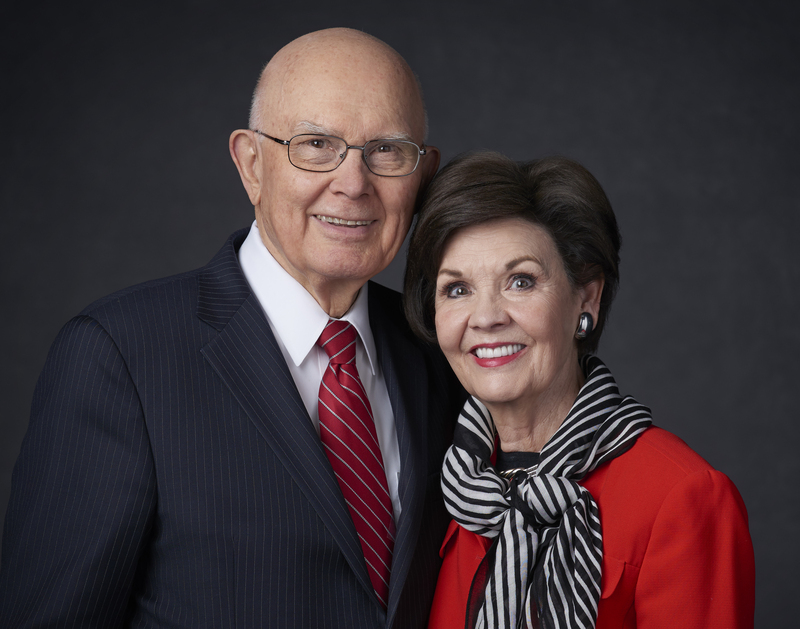 This general session, featuring President Dallin H. Oaks and Sister Kristen Oaks, will begin at 1pm MST. Earlier at 11 a.m. popular LDS speaker Hank Smith and entertainer Jason Hewlett will take the stage. Evie Clair, Kenya Clark, and Alex Melecio will perform. 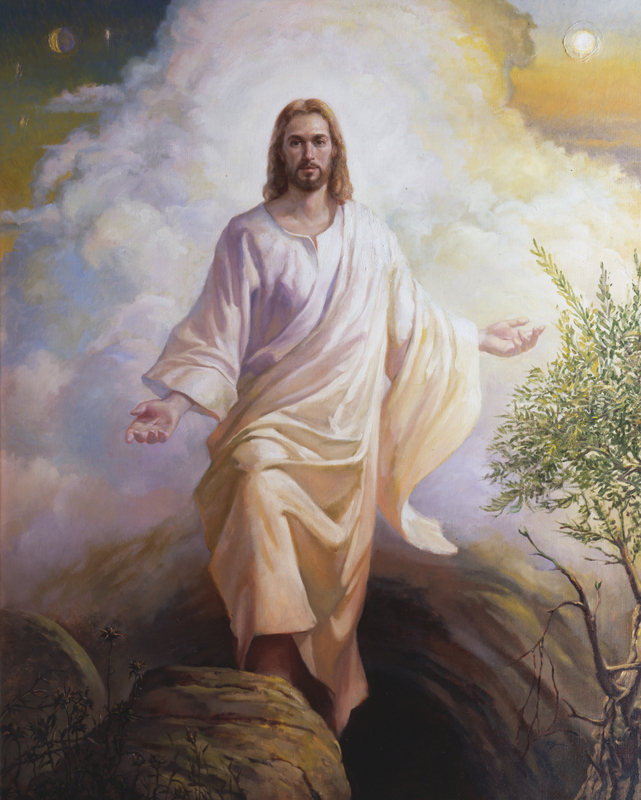 This event is sold out, but it will be live-streamed at lds.org. If you would still like to attend Family Discovery Day, contact me. I am aware of some individuals who will be unable to use their entry bands and I would be happy to leave them at the check-in desk with your name on them. There are quite a few conference participants that commute. 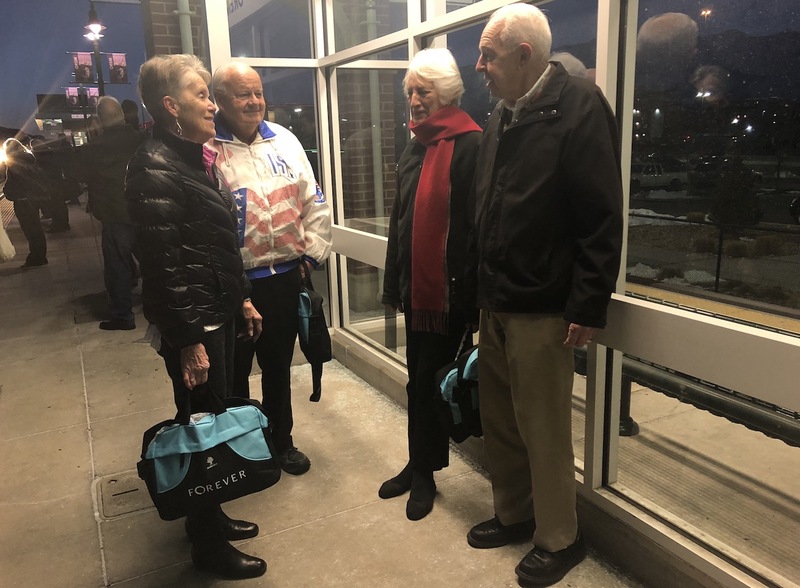 Roger Flick and his wife met Phyllis and David Walch early in the morning on the platform waiting for FrontRunner. 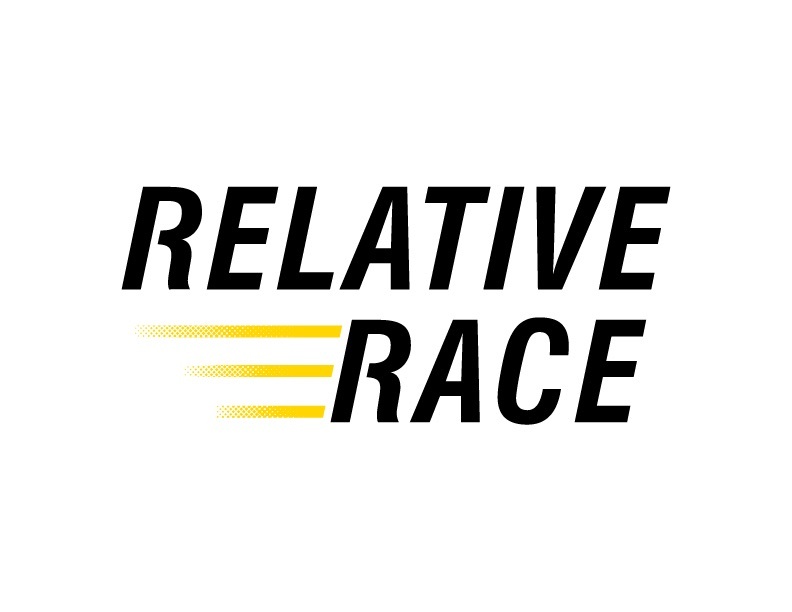 Dan J. Debenham provided the audience with a sneak peak of Season 3 of Relative Race! I heard many comments throughout the day that Scott Hamilton’s keynote address is one of the best ever! If you missed it, here it is! 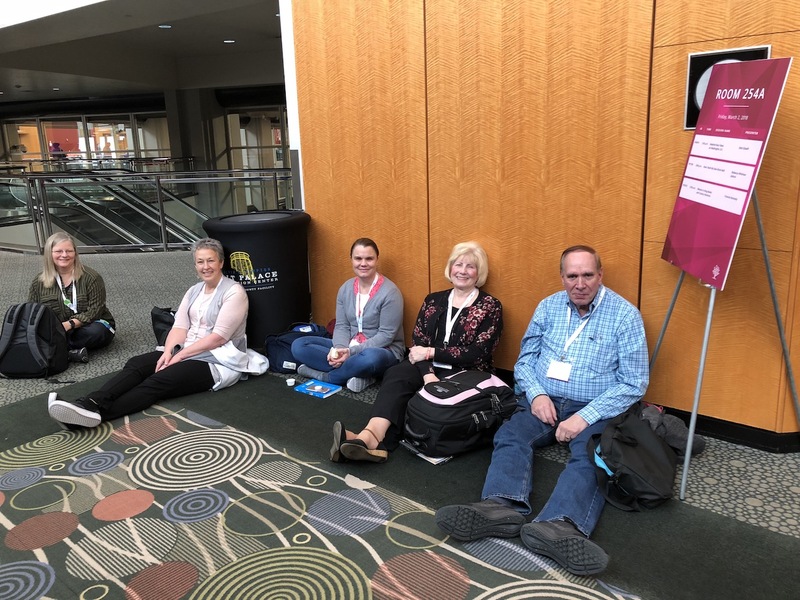 I found these conference participants waiting for the Relative Race session held at 1:30 p.m. Do you know what time it was? 11:45 a.m. The woman in the middle and the woman to the right were waiting since 10:30 a.m. to obtain their chosen seat for this session. Now that’s dedication! Later in the day I had the opportunity to interview, Dan J. Debenham, host of Relative Race, and Season 3’s Team Green, Jamie Harper and her older sister, Morgan Harper Nichols. More to come, but don’t forget to watch the 90 minute premiere of Relative Race Sunday, March 4th at 7 p.m. MST on BYUtv. We gathered for an impromptu session of #GenChat, this time LIVE at RootsTech! Seated here are @GenealogyJen, @thesingleleaf, @caitieamanda, @CarolinaGirlGen, @SeekingSurnames, @BGWylie who were thinking of all of you #NotAtRootsTech! There is so much to see in the Expo Hall and there is still time to come to the Salt Palace Convention Center to participate in this year’s conference. One-day passes are available at check-in. More information can be found here. Expo Hall only classes are not listed, but are available at check-in for $10. Whatever you’ll be doing today, make it fabulous! For those of you #NotAtRootsTech I thought I’d share with you that I’m hearing from your #RootsTech friends and colleagues that they’re exhausted and we just finished day 2! It reminds me that a 4-day conference is a marathon and that pacing is everything! 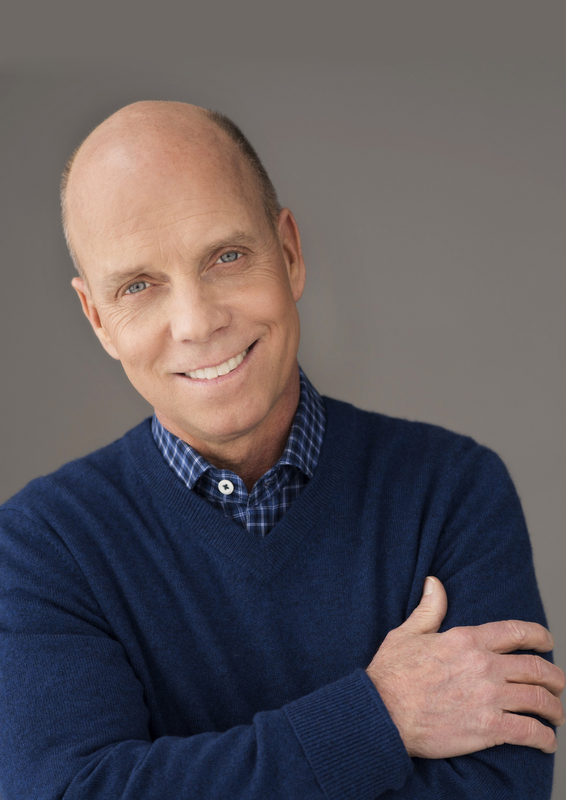 Today Scott Hamilton will keynote the General Session. Scott Hamilton is a 1984 Olympic champion winning gold in figure skating. He is also a broadcaster, cancer survivor, and the author of the book, Finish First. Before Scott speaks, Dan J. Debenham, host of the BYUtv show Relative Race, will surprise us ??? I don’t know. Dan said Tuesday night at the Media Dinner that his is a small part of the General Session. In the photo above is the first photo Brandon Stanton sold to a friend for $300 to have enough cash to move to New York. How much do you think this photo is worth now? Moral of the story: invest in friends and friendship. Men of this type are rare in any city and the future of Green Bay will be promoted as a result of the life and work of William Perry Wagner. [He] is a wide-awake young business man, identified with whatever promises to be of the advantage to the community in which he lives. He is well and favorably known …as an honorable and upright man. 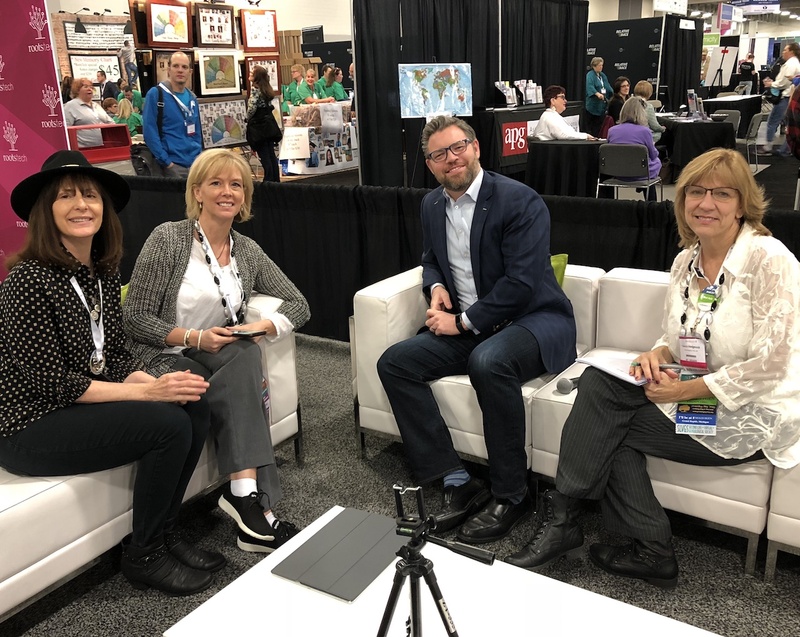 After the General Session, RootsTech ambassadors met with Brandon. Here is Cheri Hudson Passey taking a photo that includes Maureen Taylor, Amy Johnson Crow, Caitlyn Gow, Brandon Stanton, Sharn White, Diana Elder, Nicole Dyer, and Amy Archibald. This is a t-shirt by Living DNA. Are you your ancestors’ wildest dreams? 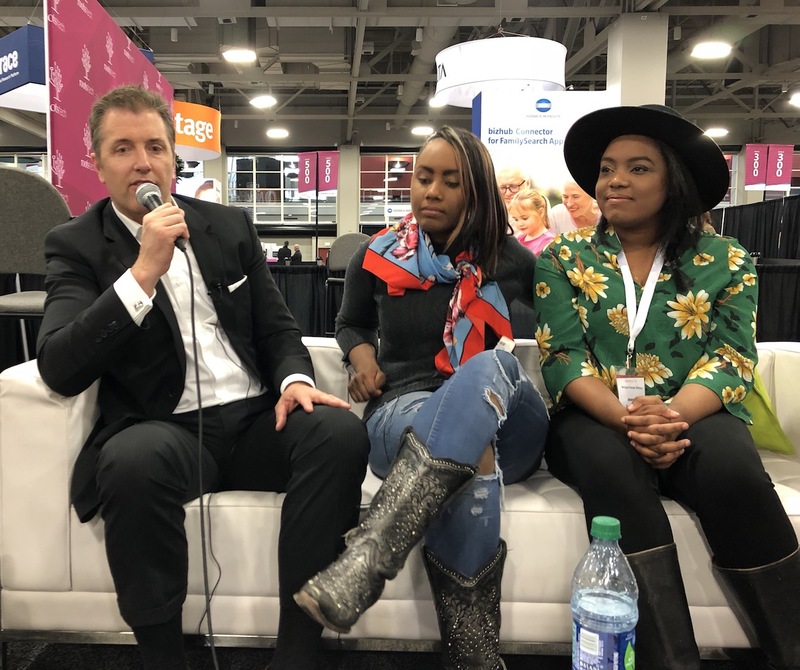 Later in the day I had the opportunity to interview Jason Hewlett with my friends and colleagues Cheri Hudson Passey and Laura Hedgecock. There is more to come about this interview. Until then check out Jason’s site. Yesterday Jason Hewlett sang “Sherry” and I posted a picture of Cheri on Instagram and Twitter. Today I captured them in a photo together. 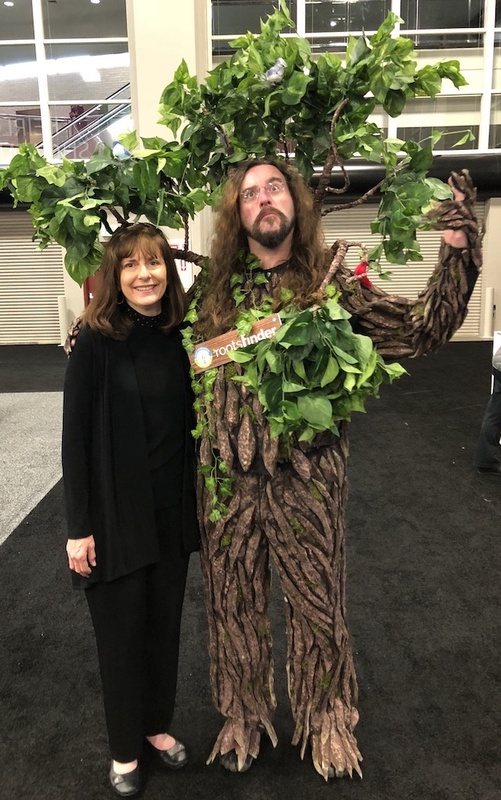 RootsTech has a lot to offer. Passes are still available and an exclusive pass to the Expo Hall is available for $10 onsite. 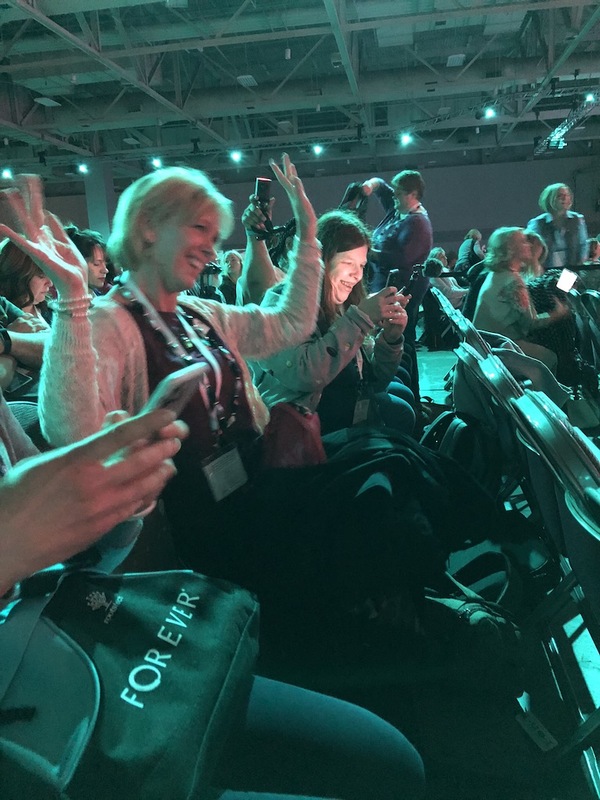 With all that RootsTech has to offer, it would be impossible to see, hear, and do it all! Come to the Salt Palace Convention Center and see for yourself! 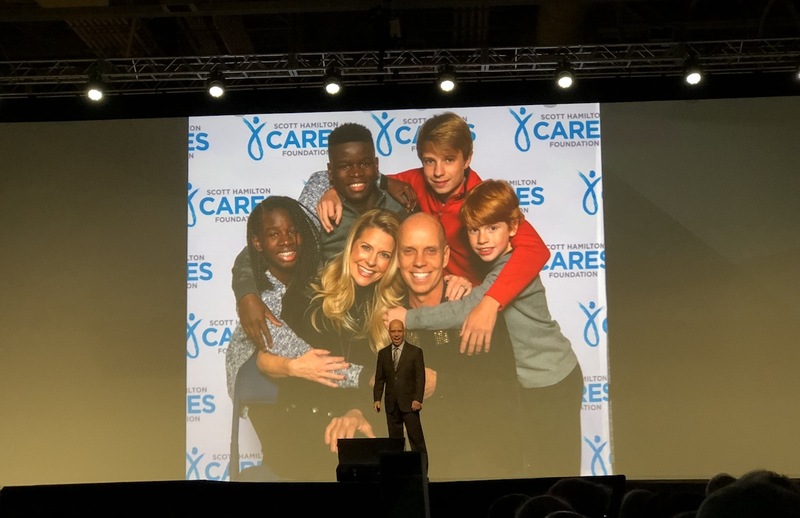 Whether you are at RootsTech or NotAtRootsTech, today is a great day to hear from Brandon Stanton, founder of Humans of New York! He’s been on the road for about 6 weeks and Jen Allen reported that when he arrived in Salt Lake City the team was given a “do not disturb sign” hopefully to get some sleep. After the first day of RootsTech, I am sure everyone who attended knows the feeling! It was a delightful yet full day of family history opportunities. 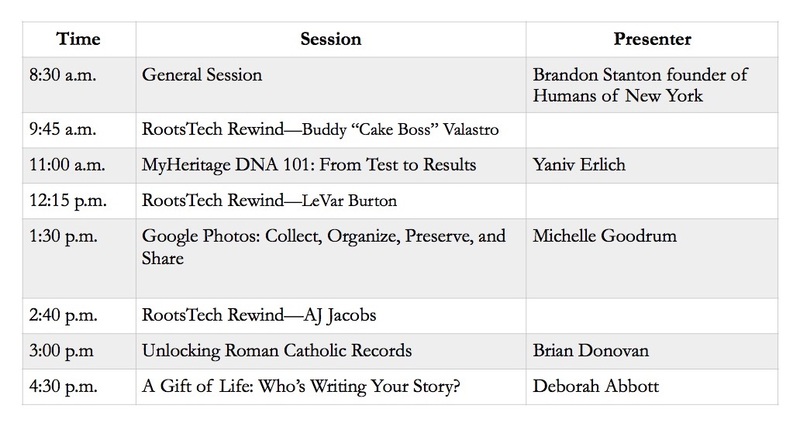 Here is the live-stream schedule for Thursday: Note that there are “RootsTech Rewind” sessions throughout the day: Buddy “Cake Boss” Valastro, LeVar Burton, and A.J. Jacobs. Who can forget LeVar Burton’s powerful keynote that only recently became available online? Although A.J. Jacobs book, It’s All Relative: Adventures Up and Down the World’s Family Tree was released last Fall, A.J. is not here at RootsTech this year. We will miss him, Julie and their sons. If you are #NotAtRootsTech, we hope that you are following along on Twitter. It is a challenge to keep up with the avalanche of tweets coming through about the conference, but it can be informative and fun. 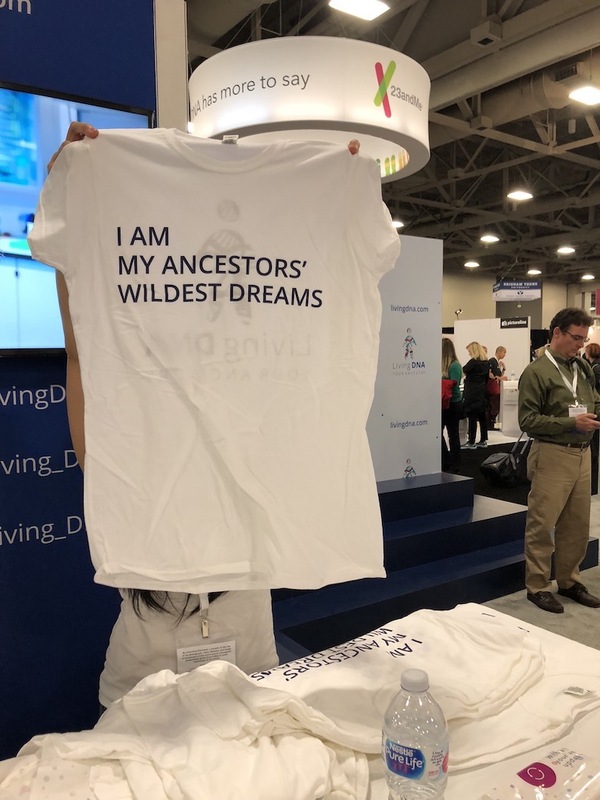 I still haven’t found my match for AncestryDNA’s RootsTech connect adventure. 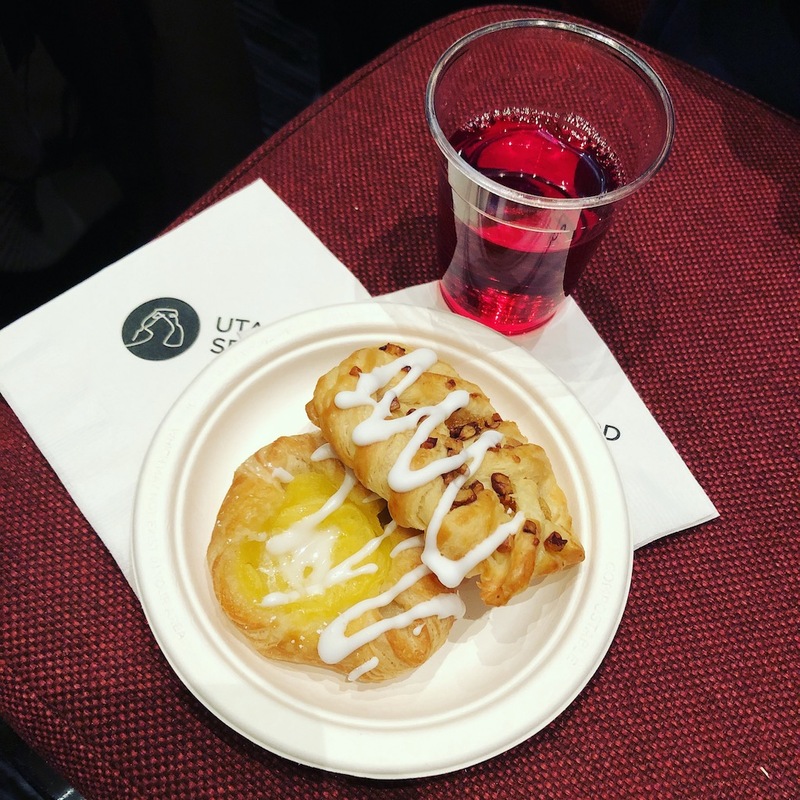 The “Access & Preservation” session offered a continental breakfast—a welcomed surprise! Lunchtime at #RootsTech *after* the crowds have cleared! 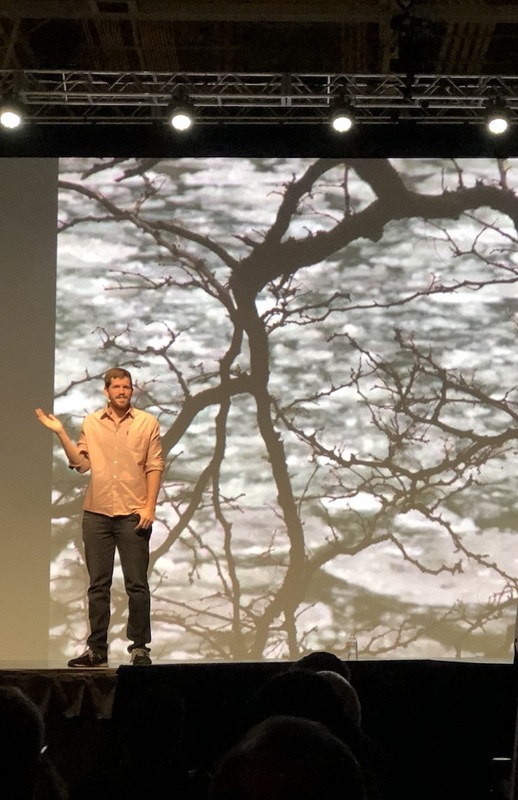 Okay, the spelling is different but Jason Hewlett is singing “Sherry,” as recorded by Frankie Valli and the Four Seasons, as his opening number at the #RootsTech General Session. #NotAtRootsTech? This is @CarolinaGirlGen, “Cheri” Hudson Passey! Spelling doesn’t count in genealogy, right? When we connect and belong, we treat each other differently. 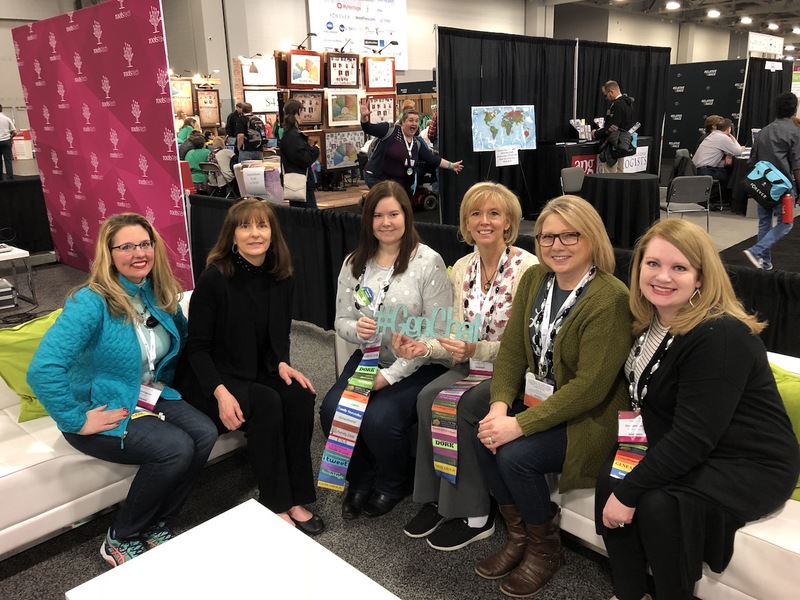 There is so much more happening at RootsTech! DNA Painter won the $50K DNA Technology Contest. More about that later. But, now it’s time to head to the conference for another full day at RootsTech! The opportunity to attend RootsTech is still available. Hope to see you there! It’s A New Day For RootsTech! RootsTech now begins on Wednesday! As the conference evolves, RootsTech continues to expand its offerings to the #NotAtRootsTech audience, including 5 live-streamed sessions today (up from 3 sessions last year) and an opportunity to participate via Twitter with the hashtag #NotAtRootsTech with a chance to win #RootsTech prizes! After looking over the sessions to be live-streamed, it was so tempting to stay home rather than make the trip to Salt Lake City … lol :-) Here’s Wednesday’s live-streaming schedule found at RootsTech.org: Is anyone with me on staying home this year? It looks like a great lineup! 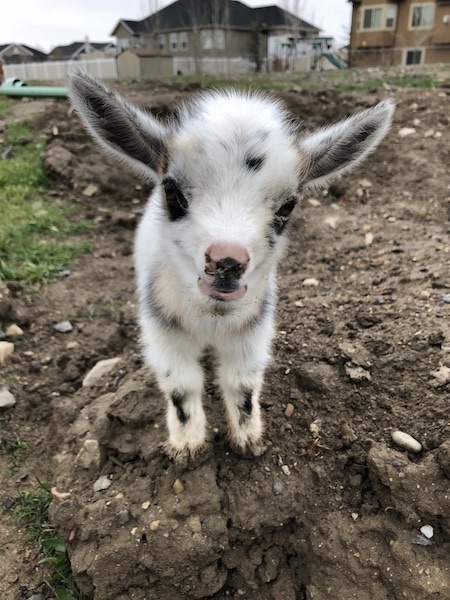 Okay, Okay, I have no excuse for *not* being there. Besides the plethora of sessions offered, the Expo Hall has expanded and the highlight of any conference is seeing old friends and meeting new ones! 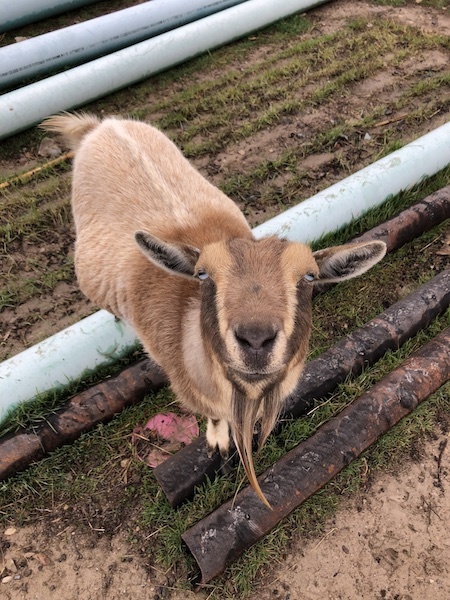 This year is especially fun as I connect with the Twitter crowd. If you haven’t joined us for #genchat, #genchatDNA or #AncestryHour check out these hashtags on Twitter and join the fun! 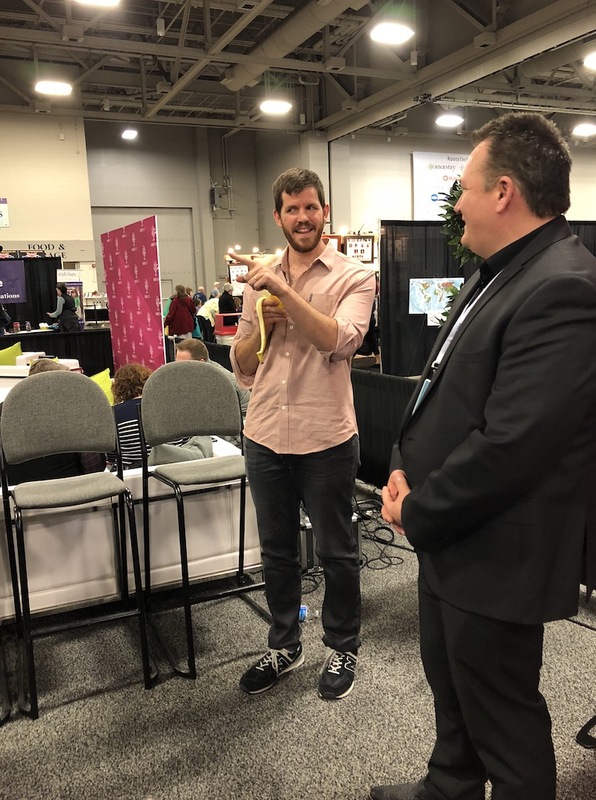 Even if you have been to RootsTech before, there is plenty new to see! 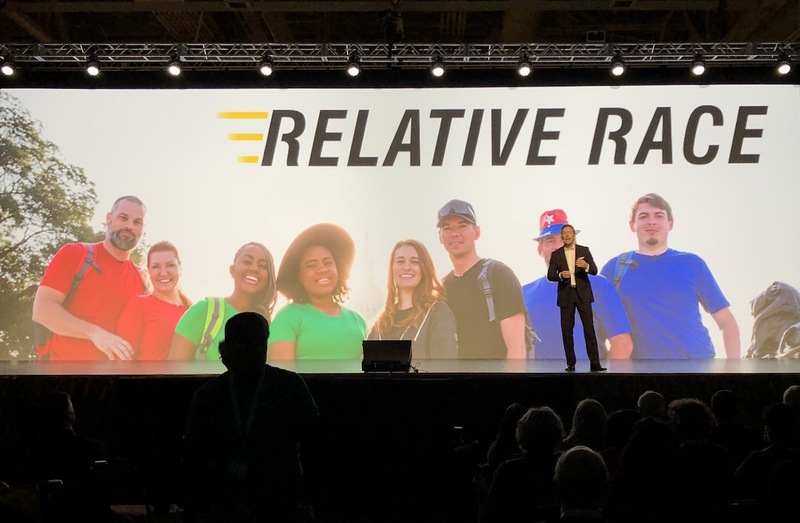 Those at the banquet got a sneak peak of the conference theme, “Connect.Belong.” Dan J. Debenham shared a preview of Relative Race. As I mentioned in my last post, “I know of no better team to connect with or belong to on television than Relative Race!” Nevertheless, the best part of the evening was seeing old friends, connecting with social media friends, and meeting new people destined to become friends. Relationships are what family history and genealogy are all about! As far as those who will be at #RootsTech, one session that I’d like to point out is a 3-hour session titled, Access & Preservation (RT7953). It will be held in Ballroom I of the Salt Palace Convention Center beginning at 9:30 a.m. Who will be speaking? It’s a mini-conference within the conference! Also, there is no accompanying handout for this session so if you are onsite it will be worth your attendance. Not quite interested in access and preservation at this time? Do you have other genealogy goals? There are many other sessions from which to choose so download the app via the App Store or Google Play Store and take a look. If you are #NotAtRootsTech you still have the handouts available for many sessions that can provide an overview and allow you to glean some new information that will benefit your family history pursuits. Don’t forget to provide feedback for any session you attend onsite or virtually. 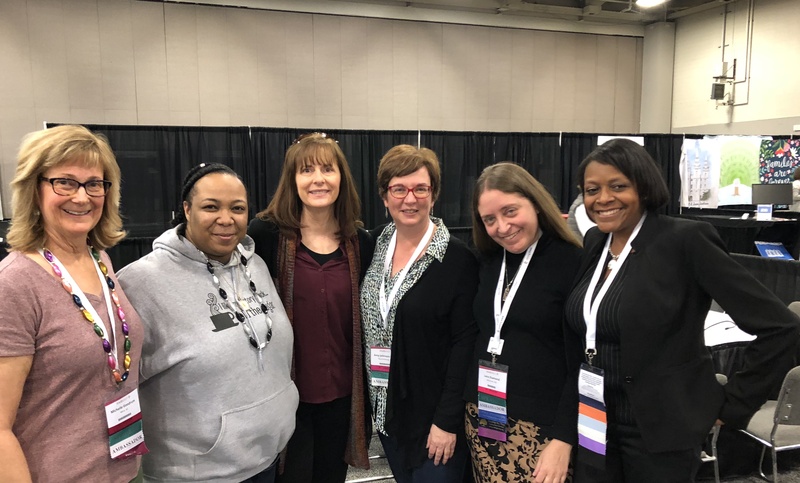 This information is important to the RootsTech team in planning next year’s conference! For those at RootsTech, the Expo Hall will be open from 6 p.m. to 8 p.m. Interested in DNA testing? I learned this evening that 23and Me is offering their ancestry service for $69 and their ancestry + health test for $99 for conference participants. AncestryDNA is offering their autosomal test for $59. I have not received word yet from the other 3 DNA companies. I just thought I’d let you know if you have decided to use one or more of these services. Near Salt Lake City and would like to join us? RootsTech passes are still available. Check them out! There is an Expo Hall only pass for $10 at the registration desk after the keynote concludes. Once again I invited you to follow me on Twitter @thesingleleaf. You may also follow me on Instagram @thesingleleaf.